November 7th, 2018 - Congratulations to our 16 new initiates from the Fall 2018 Class. July 2nd, 2018 - Rush is around the corner! if you are interested in rushing contact our Rush Chairman John Silvera at pksakchi@gmail.com. He would be happy to tell you about our upcoming events and give you more information about our fraternity, hope to see you all soon! February 17th, 2018 - Today was full day for our brothers as we attended multiple philanthropic events to support various causes. At the Alpha Tau Omega house there was IFC's annual Chilifest, where we enjoyed some delicious chili and gave our donations that will benefit the University's Women and Gender Resource Center. 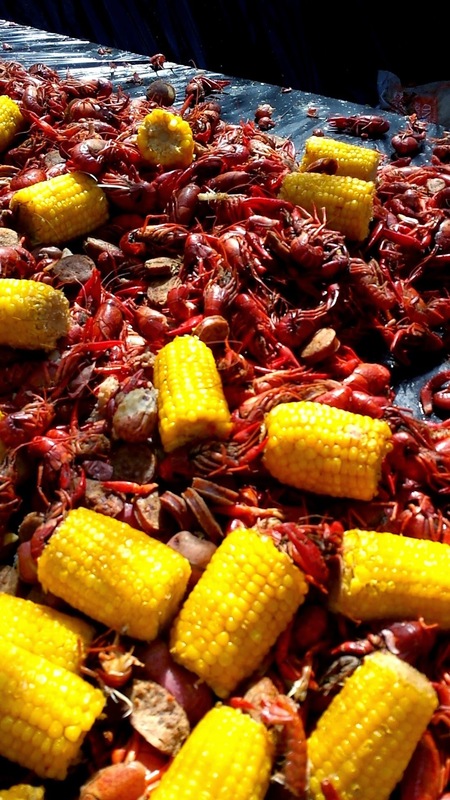 There was also the annual Crawfish for CASA at the Kappa Alpha Theta sorority house. The money raised here will go to the Court Appointed Special Advocates (CASA) which supports and promotes court-appointed advocates for abused and neglected children. Also taking place throughout the day was the annual University of Alabama Dance Marathon. This 13.1 hour fundraising event is a fun atmosphere which encourages dancing and donations during the entire event. Proceeds from this event benefit Children's Miracle Network Hospitals which is a non-profit organization driven by the goal to care for and improve the lives of as many children as possible. some of our members supporting court appointed special advocates (casa) at kappa alpha theta's annual crawfish for casa event. January 10th, 2018 - Classes for the Spring 2018 Semester begin today and we welcome back all of our brothers. We are looking forward to another great semester academically and will be participating in Spring Rush. If you are interested in joining our fraternity be sure check out the rush page. December 17th, 2017 - The Fall 2017 Semester has officially come to a close and a few of our brothers are celebrating their graduation from the University of Alabama. Congratulations to Michael Brewer, Chris Leonard, and Anthony Villa for their academic achievements over the years! Fare well brothers and we can't wait to welcome you back as alumni! November 30th, 2017 - The Chapter held officer elections last night and we'd like to congratulate our new officers! Thank you to all of our outgoing officers for their commitment to the Chapter and the success they helped bring to Alpha Kappa. We look forward to continued growth and excellence under this new Executive Board! October 19th, 2017 - Happy Founder's Day to all of our active and graduated brothers. We are also pleased to welcome twenty five new brothers into the Alpha Kappa Chapter today! Congratulations Chi class on completing the New Member process! October 15th, 2017 - Congratulations to Alexander Haynes, Thomas Huncke, and Andrew Tyndall for receiving Phi Kappa Sigma Foundation scholarships. The Foundation awards $65,000 in scholarships and grants annually and we are proud to have three recipients in the Alpha Kappa chapter. April 4th, 2017 - Congratulations to Andrew Tyndall, Grant Bail, Chris Leonard, Austin Ellis, and AJ Bishop for being accepted into the Order of Omega at the University of Alabama. The Order of Omega is a leadership honor society for members of Fraternity and Sorority organizations. The Order of Omega is very selective, so we are very proud of them for accomplishing this. March 20th, 2017 - The newsletter for the spring semester has been sent out. If you did not receive it and would like to, please contact Dan Mancari at dmancari@crimson.ua.edu. The newsletter can also be found online here. December 1st, 2016 - As the semester comes to a close, we would like to welcome our new brothers: Britt Ryan, Charlie Plunk, Sam Rier, Kristian Rider, Christian Childress, Alex Chamblin, Stone Justice, Christian Coyne, Matt Accomando, Ryan Arendas, Reilly Connell, Grey Slatton, Andrew Bellasperanza, Zach Smith, Sam Asnis, Nathan Bianan, Sam Blackington, Kyiler Bolton, Zane Simpson, John Silvera, Dillion Harnage, Alex Washburn, Colm Boyer, Ty Jackson, Aaron Fox, Alan Goddard, and Alex Haynes. August 8th, 2016 - School is starting soon! Interested Rushee's get in contact with the Alpha Kappa Chapter under the RUSH tab above to make sure you don't miss out on meeting brothers! We have already began scheduling events! April 19th, 2016 - The Alpha Kappa Chapter would like to Congratulate brother Dylan "Goose" Teed on winning Rookie of the Year and Iron Cup MVP for Alabama's Hockey Team. Here he is with his brother Ryan who's also a brother of the Alpha Kappa Chapter. 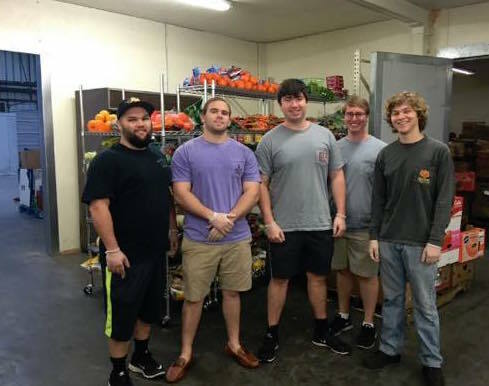 April 13th, 2016 - Brother's took at trip to the West Alabama Food Bank for the day to help make produce bags and help with inventory. January 7th, 2016 - Well wishes and a warm Happy New Year from the current Men of Honor to all. With the second semester beginning soon the start of spring rush will begin on the 21st of January. Interested Rushees should contact Rush Chairs, Nick Fedchock and Cooper Ramsey, either by phone or email anytime. Thank you to all of last terms officers for your hard work. The fraternity appreciates your dedication. November 6th, 2015 - Leukemia & Lymphoma Society, the national philanthropy of Phi Kappa Sigma, held their Light The Night Walk in Birmingham last night. Alpha Kappa had great participation in support for the cause and donated to help fund treatments that are saving lives from these awful blood cancers. October 22nd, 2015 - Thank you to all of the responses we've been getting back from Alumni in the past few weeks from the newsletter. Your support and replies are greatly appreciated. If the newsletter has not reached you for some reason, or you have an updated address for us please contact Daniel Brenner at djbrenner@crimson.ua.edu so alterations can be made. This Saturday afternoon the Crimson Tide takes on Tennessee at Bryant Denny Stadium. We will have a tailgate on the Quad over by Carmichael Hall. Alumni are always welcome, keep an eye out for the Phi Kappa Sigma flag. Food, refreshments, and TV will be present. 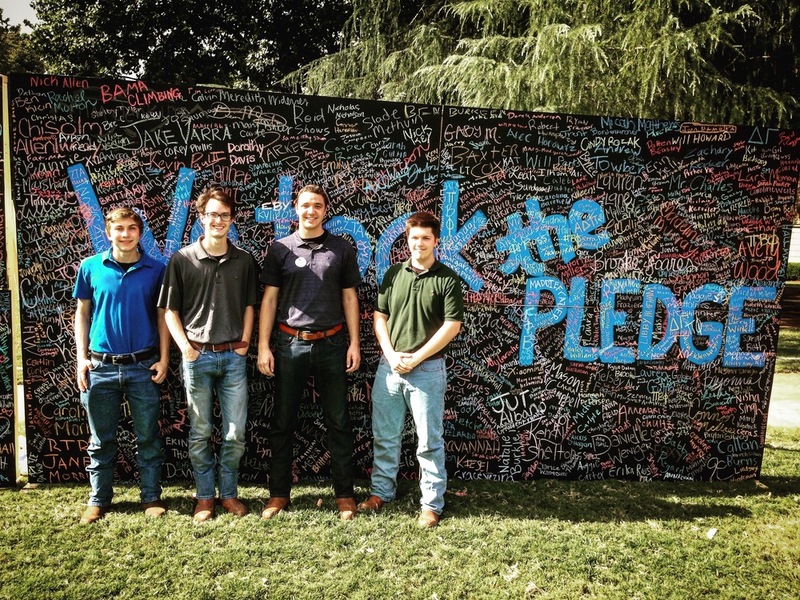 September 16th, 2015 - UA's Student Government Association has joined the It's On Us Campaign to stop sexual assault and create a safe environment at The Capstone. Members old and new have been getting involved with the on campus events this week. September 11th, 2o15 - Tomorrow is the first official home football game versus Middle Tennessee! Phi Kappa Sigma has already began preparations on The Quad for tailgating prior to the game. Alumni interested in the location or for future games can contact Daniel Brenner for more information. September 8th, 2015 - With fall rush officially closed for the semester, now is the time to begin our prep for Spring! Many rush events will be occurring during the spring of next year. These events will include Band Performances, Meet and Greets, Social Dinners, etc. Those interested can contact Lee Bomar and Joseph Thomas under the Contact Us tab. 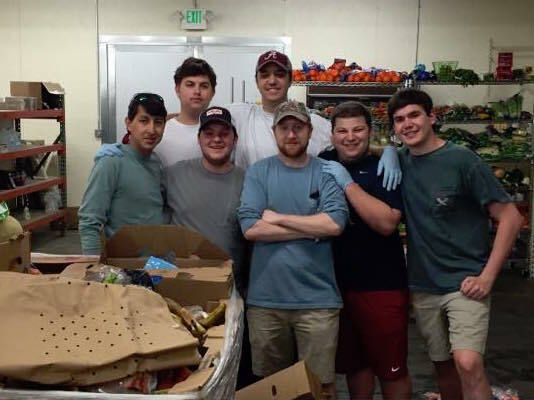 September 1st, 2015 - Many brothers have began attending our philanthropy events for this semester. The RISE Center in Tuscaloosa has been very kind and generous to allow us many hours to come and assist them in their daily activities. Michael Brewer (Philanthropy chair) has taken a lot of time in finding us activities to do over the course of the semester. Any suggestions/possible connections can be forwarded to Michael under the Contact Us tab at his email. April 26th, 2015 - Crawfish for Corbyn, our fundraiser to honor UA's Corbyn Wile and create a scholarship in her name, was yesterday and was a success! 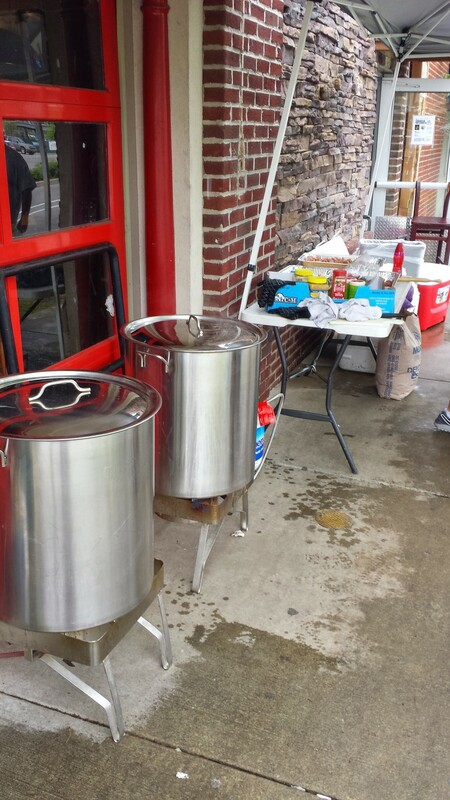 We had a great turn out and lots of crawfish for this awesome cause. April 2st, 2015 - Yesterday we celebrated our first Phi Kap Easter Potluck at the house. At this brotherhood event everyone brought a dish or supply and then we had an Easter Lunch together.